This is it, folks. Today at 6PM the SFMOMA closes to begin its three year long expansion. It'll be reborn sometime in 2016 clad in shining armor, engulfing the rest of its current city block. Get in your last run through the current exhibits, explore a new corner of the building before it changes. 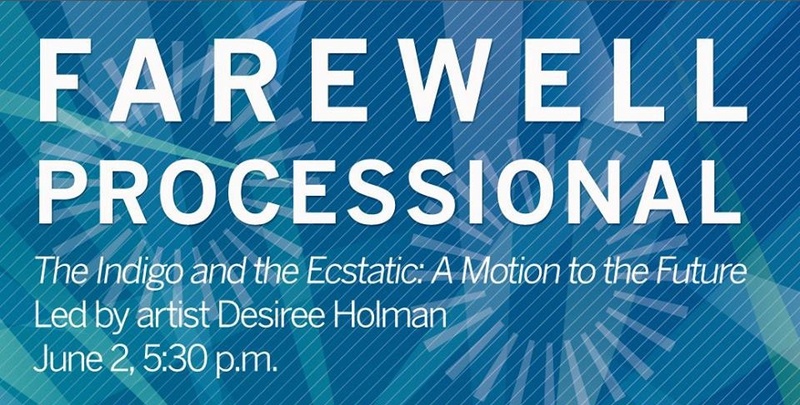 Join me and David at the museum at 5:30 for the farewell procession. Local artist Desiree Holman is curating the procession, which recasts the Young American Patriots fife and drum core and Dance Sanctuary dancers as docents for the future. You're encouraged to come in your best future time traveler costume, and Teri Sage from TS I Love You Hats will be helping everyone make awesome tin foil future hats as well. This will be my 56th visit to the museum. For the last year and a half I've been coming almost every week, writing software, meeting friends and making new ones on the rooftop sculpture garden. It's been a great pleasure to learn so much about art, people and myself. While it's painful to have to be away for so long, I have great faith that the museum's future will be spectacular. Come celebrate that with us.